The UC200 is an IP PBX appliance designed to bring enterprise-grade unified communications and security protection to all levels of businesses at an unprecedented price point without any licensing fees, costs-per-feature, or recurring fees. The UC200 enables enterprises to unify multiple communication technologies, such as comprehensive voice, fax, calling, conferencing, video/audio surveillance, data tools, security surveillance, mobility, and facility access management into one commonly managed or accessible network. With a advanced hardware platform and software functionalities, the UC200 can support up to 500 registered users and offer effortless setup and deployment via the web-browser user interface. Besides auto-discovery of diverse endpoints and auto-provisioning, the UC200 series offers a set of comprehensive features, including customizable call-routing, multi-level IVRs, call queues, auto-attendant, call detail records (CDR), multi-site peering, voicemail/fax forwarding to email and more. UC200 has the super NAT network adaptability. In the system deployment, the remote SIP extension registered to the UC200 need not any NAT traversal setting. 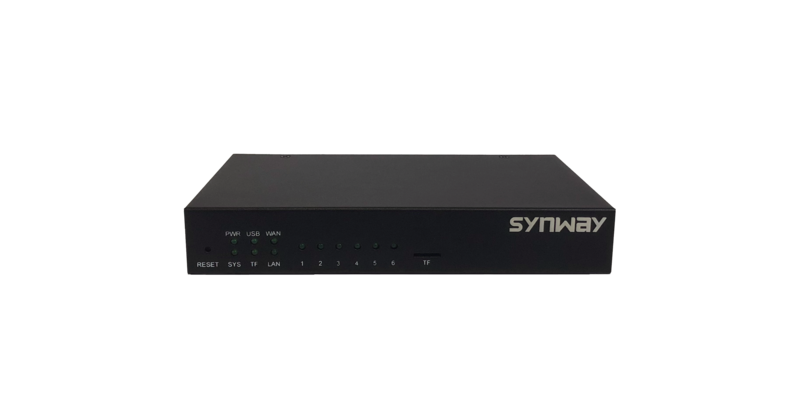 Without NAT traversal setting, UC200 could be compliant with other mainstream SIP endpoints or components with changeable IP addresses, which effectively reduces complexity of configuration. UC200 optimizes system resource utilization and system efficiency via stochastic algorithm, effectively minimizing hitting over processor resource and improving reliability in any scenarios. UC200 leverages autoclip intelligent inbound routing mechanism. With call records, UC 200 can intelligently match inbound call number with historic called one in autoclip. Moveable extension, call forwarding, DND, etc are available. Multiple security mechanisms in UC200 are available, including password, ACL, data filtering, etc. Besides, outbound routing, DISA, conference, voice mail and other applications support PIN code setting to customize dynamic firewall. UC200 adapts flexible multiple-layer monitoring modes to protect privacy at maximum level and ensure high-level of security and reliability in most conditions. Call park, call forward, call transfer, DND, ring/hunt group, paging/intercom etc.